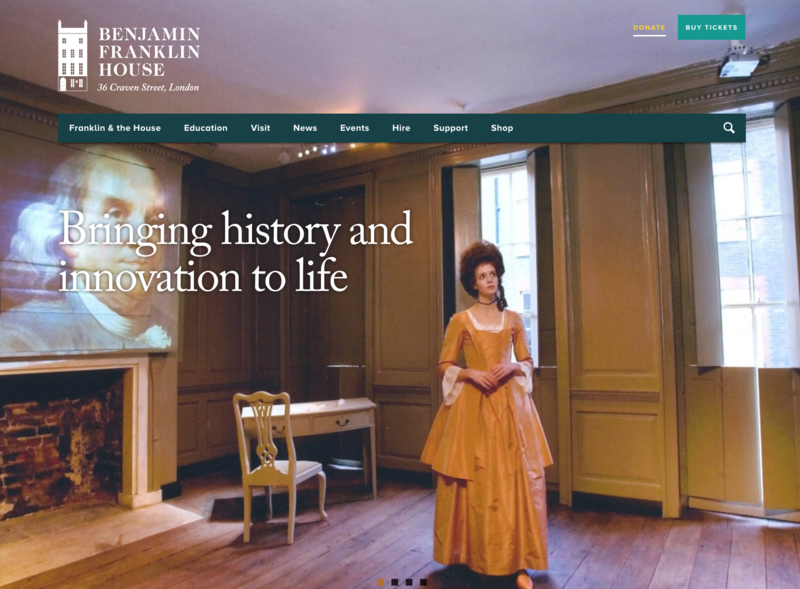 Spring have recently designed, built and launched a new immersive, interactive and educational website for Benjamin Franklin House. As part of their new Digital Resources project, the museum in London commissioned us to create an up-to-date and engaging website in celebration of Benjamin Franklin and his only remaining home. Having experience working with stately homes and historic houses, including Houghton Hall in Norfolk and Gainsborough’s House in Sudbury, we jumped at the opportunity to pioneer this exciting project. Working in close collaboration with the team at Craven Street, we designed the new website to give visitors a real sense of what is offered at the museum, with a wealth of content so even those who are unable to visit in person will be able to learn about his life. Best known as one of the founders of the United States of America, Franklin was also an author, printer, political theorist, scientist, inventor and diplomat. He is the only statesman to have signed all four documents that created the United States, and is also considered to have discovered that lightning was electricity using a kite, a key and a storm. The museum first opened in 2006 to mark Franklin’s 300th birthday, offering a somewhat unusual experience encompassing live performance, sound and visual projection and an immersive ‘museum as theatre’ Historical Experience.